After you’ve had a behind the scenes look at Siesta Key and the island’s tropical habitat first hand, take time to kick back and enjoy the literary legacy of the island’s renowned writers of days past, maybe while relaxing at a coffee house in Siesta Key Village, where you will find shopping, casual bistros, fine dining, and nightlife. Rest your feet and reflect on the inspiration that Sarasota offered to literary greats who called Siesta Key home, including Pulitzer Prize winning author MacKinlay Kantor and acclaimed writers John D. MacDonald and Ben Stahl. These men were part of a local literary movement that met for lunch every Friday at the Plaza Restaurant downtown for more than 30 years beginning in 1952. Collectively, the group once estimated that it published more than 300 books, as well as countless short stories, magazine articles, and screen plays, according to Hidden History of Sarasota by Jeff LaHurd, one of the area’s top historians and the author of numerous books on Sarasota. A decorated correspondent during World War II and Korea, Kantor moved to Siesta Key in 1936 as an established author with his wife and two children. At age 17, he published his first poem, and in 1928 he published his first successful novel, Diversey, about Chicago gangsters. One of Kantor’s most well known works is the Civil War epic Andersonville, a story about the infamous Confederate prisoner of war camp in Andersonville, Ga. It was awarded the Pulitzer Prize for fiction in 1956. Additionally, his long narrative poem Glory for Me was published as a novell in 1945, and it later became the basis for the Academy Award winning film The Best Years of Our Lives. Overall, Kantor wrote more than 30 novels in his lifetime, and the Civil War was a common theme in his work, including Gettysburg, If the South Had Won the Civil War, and Lee and Grant at Appomattox. 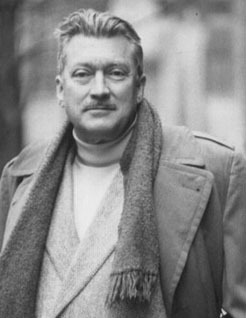 His last novel, Valley Forge, was written in 1975, and he passed away in October 1977. 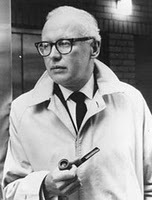 John D. MacDonald, a prolific writer of crime and suspense novels, planted roots in Siesta Key in 1951. Acclaimed for writing the 21-volume Travis McGee mystery series from 1964 to 1985, he produced 78 novels including the bestseller Condominium in 1977, which told the story of a shoddily constructed coastal community hit by a terrible hurricane. Many people believe the fictitious Fiddler Key portrayed in the story is actually Siesta Key. In 1962, his novel The Executioner was turned into the original movie Cape Fear, which starred Gregory Peck and Robert Mitchum. MacDonald’s long literary career started in 1945 by accident, while he was serving in the military during World War II. He wrote a short story and sent it to his wife, and she submitted it to magazine Story; it was accepted without his knowledge. He passed away in 1986. In addition to being known as one of the top artists and illustrators of his day, Ben Stahl wrote the humorous novel Blackbeard’s Ghost, which was turned into a Disney movie with Peter Ustinov in 1968. Stahl moved to Siesta Key just after MacDonald in 1952 and, according to Hidden History of Sarasota, he is remembered around town for Stahl’s Museum of the Cross. It opened with “great fanfare” in 1966 with a display of 15 mural-sized paintings of the Way of the Cross. The paintings, valued at more than $1 million, were stolen in 1969 and have never been recovered. Stahl, who died in 1987, began is creative career at 12 when he won a scholarship to the Art Institute of Chicago. Siesta Key and its notable personalities can keep you fascinated and engaged for a vacation or a lifetime. From healing sands, to unusual debates, to progressive architecture and authors, the flair and flavors of this beautiful barrier island open the door to exploring the many secret treasures of Florida’s southwest coast.